In the rail industry, it cannot be expressed enough just how important it is to stay safe. When performing maintenance works on active train tracks, a worker’s safety equipment should be easy to work with, but completely reliable. The prevention of avoidable accidents is always a primary goal. In this article we’re looking at how a robust safety plan not only protects personnel on site, but also facilitates an efficient working environment. Looking back on past statistics, the general trend shows a steady improvement in railway safety in the UK since 2002. From a high of eight workforce fatalities in 2002-2003, to a record zero in 2015-2016, it can be said with some certainty that the progression of track safety has definitely been doing its job. But that’s not to say the industry should be complacent. There still remains a significant number of workforce injuries – 6,597 in 2015-2016. 157 of these were major injuries. While many of these were related to on-board traincrew, station staff and train drivers, 1,882 of these injuries were suffered by infrastructure workers. It’s difficult to say the nature of rail worker injuries by simply looking at the statistics, but it stands to reason that some – if not the majority – were preventable. 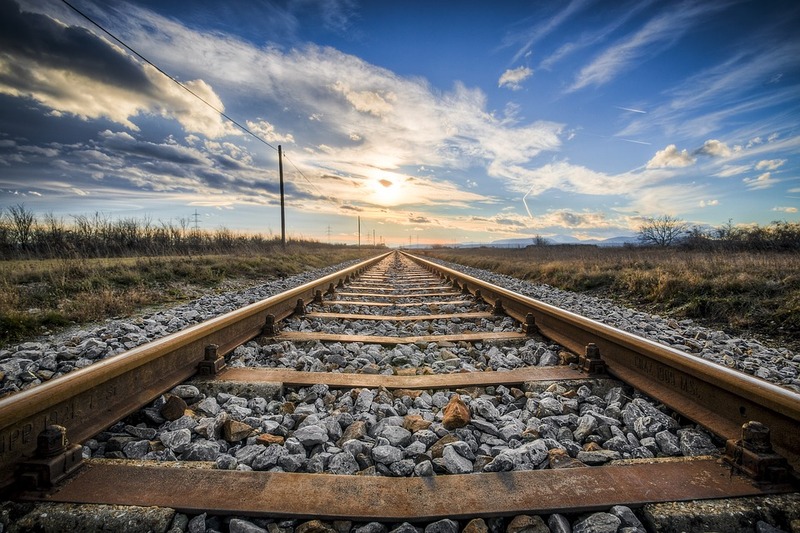 Personal track safety is something that each railway worker should be closely familiar with. Correct PPE (Personal Protective Equipment) should be worn, and there should be strict adherence to all on site regulations. But how can railway safety be augmented to further safeguard infrastructure workforce? Carrying out vital maintenance works on active railways is unavoidable. While all possible lengths will be taken to limit the activity on the route, the presence of regular trains is something that requires rigid planning and awareness. A key element of trackside safety is barriers and fencing. That is, the construction of barriers to set up a clear safe zone for workers. During day-to-day infrastructure work, an effective barrier solution should never compromise a worker’s ability to perform their duties. Two safety barrier solutions are of particular interest here: magnetic barriers and Vortok safety barriers. Both of these fencing systems provide rail workers with fast, easy and intuitive installation that doesn’t interfere with the track itself or impede on general maintenance works. The safety zone is clearly defined, and the construction of the barrier makes it easy for workers to re-enter the safe zone should they be caught on the wrong side before a train approaches. These modern safety barriers are the perfect combination of productivity and protection. No tools are required, and workers are offered immediate protection as soon as construction is complete. Furthermore, the fences are simple to dismantle when no longer required. This minimises extra labour demands and cuts down on extended trackside presence of personnel. Only through modern and focused attention to railside safety can we ever achieve the goal of zero workforce accidents in the rail industry. Settling for less on the kinds of safety barriers used during maintenance projects means putting your workers at unnecessary risk. This is something that should never be compromised. To ensure you provide the most stringent level of protection available, look no further than Triptex. We are the largest stockist of Vortok safety barrier fencing in the UK, and also supply magnetic barriers to suit all kinds of trackside work. Our hire rates for safety barriers will keep your costs down, while productivity and safety will benefit hugely. To discuss your safety barrier hire requirements with us, simply contact us today. We deliver our products within 48 hours across the UK, and our team is always happy to help.